Since 2015, the Labour Party’s membership has soared, driven in large part by a significant influx of self-defining BAME (Black, Asian and minority ethnic) members. However, the party’s official BAME structure, BAME Labour, has fallen into virtual disuse. Membership has dropped to its lowest in decades – the group had just 731 members during its elections last summer. BAME communities are underrepresented structurally at every level in the labour movement, and as a result, the issues that affect our communities are rarely prioritised. Recent events, including the fatal fire at Grenfell Tower and the proliferation of the ‘hostile environment’ against migrants and refugees, clearly show the dangers of silencing and ignoring our communities. If we are serious about building a Labour Party that represents the many not the few, we must urgently remedy this situation. We can find inspiration in the mass movement that, in 1987, elected Britain’s first four (politically) Black MPs, as well as achieving a 500-fold increase in BAME representation in town halls across the country, four Black council leaders, and Bill Morris as the first Black trade union general secretary. Since the 1980s, the organisation has undergone various transformations, culminating in 2007 with BAME Labour. BAME Labour exists as a hybrid institution, partially integrated into the party’s internal structures – with an NEC seat and special mention in the rulebook as responsible for ethnic minority organising – but with the official status and procedural autonomy of a socialist society (the terminology used to describe all non-union affiliates. This means that, as with all other affiliate structures, the party has no legal or constitutional right to interfere with its internal operations. In the 1980s, this degree of separation was needed in order to lessen the potential for interference from the party machine. The movement for Black self-organisation had been met by stubborn resistance from the party leadership, who openly denounced what they called ‘separatist’ organisation as electorally destructive, and threatened many key Black figures with expulsion from the party. Despite this, Black Sections won victory after victory: Black self-organised groups were formed in trade unions across the country, the TUC created places on its general council and executive for Black representatives, and in 1988 Black Sections published their influential Black Agenda document, which powerfully articulated the demands of its members. Fast-forward to annual conference 2017, when the long-awaited party democracy review gifted us a chance to build on the legacy laid down by the Black Sections. Racial inequality in employment, education and the judicial system persist. Meanwhile, new challenges have developed, from the rising international far right and the policing of our freedom of expression through the Prevent legislation to a government that – as the Windrush scandal and the recent removal of citizenship from Shamima Begum laid bare – sees our communities as never truly British. Whilst headlines surrounding the democracy review focused on changes to the leadership threshold or reform to the trigger ballot system for sitting MPs, thousands of BAME members wrote into the review’s consultation, demanding reform and greater provisions for ethnic minority organisation. Central to this was the creation of a BAME section, bringing in-house responsibility for democratic elections, securing internally provided funding (doing away with additional membership fees), guaranteeing automatic membership for all self-defining members and employing a dedicated member of staff to safeguard political autonomy. BAME members ran meetings around the country, lobbied regional and national representatives and coordinated creative campaigns to articulate the neglect they felt. Their vociferous efforts were testament to how BAME members had succeeded in the ’80s – through powerful self-organisation. Above all, what we saw was a return to the uncompromising political unity between Asian, African, Caribbean and Latin American communities that made Black Sections so successful. The party is finally set to constitute this BAME section in the coming months. 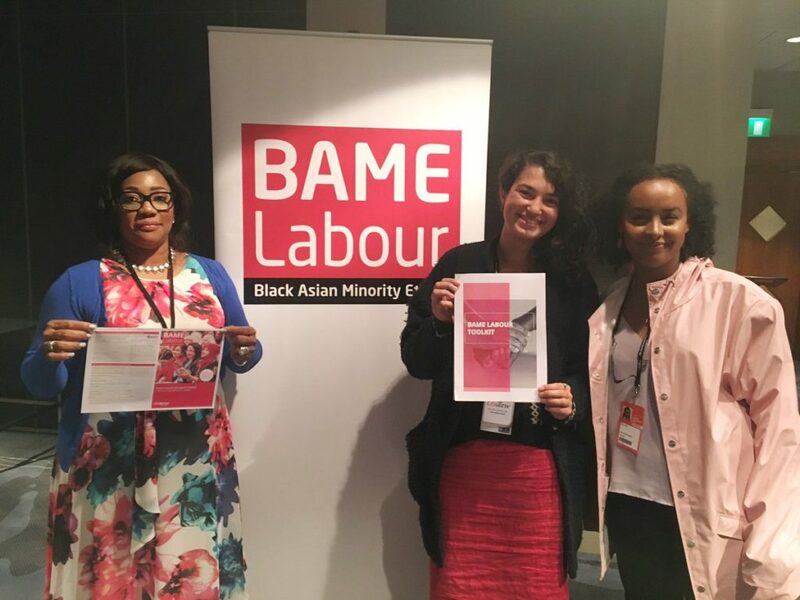 Provisionally titled the BAME Representative Structure, all BAME party members will be given automatic membership and have representation on Labour’s NEC, with BAME representatives at regional and local levels gaining additional powers and clearer accountability to the BAME membership. BAME Labour will continue to exist as a socialist society, but will no longer have a NEC seat or sole responsibility for organising ethnic minority membership. But our demands are far from met – little else has been decided beyond this. As the NEC continues to negotiate the final details of the structure and gathers the necessary data on its membership over the next few months, BAME members must start organising and building in anticipation of the opportunities that we have fought so hard for. The BAME Section represents the opportunity of a generation to create a representative, democratic and transformative vehicle for anti-racist and anti-colonial organising, both within the party and in wider society. To get involved, make sure you specify your ethnicity on the Labour Party system, which will later ensure you receive a ballot for future elections and are able to fully participate in shaping the future of the Section and the party.